So far this year is sharing up to be the year of the contour once again—if not more. Every time I hop on Sephora’s website, it seems every line is taking a whack at their own contour palette. For a while, the Anastasia Beverly Hills contour kit ruled the game, and then NARS came onto the scene with a version that beauty nerds went nuts for (including myself). The NARS Olympia palette has quickly become a staple in my everyday makeup routine; somehow it makes contouring for pale girls doable, not scary. Up until this point, no drugstore product has been able to keep up with the big players in the contour arena. Enter Wet n Wild. I spotted their new contouring palette in Dulce de Leche for $4 and decided to test things out to see how it held up against my beloved NARS. The shades in both palettes are nearly identical, although the contour shade in the Wet n Wild palette is a tad bit warmer than the NARS one. 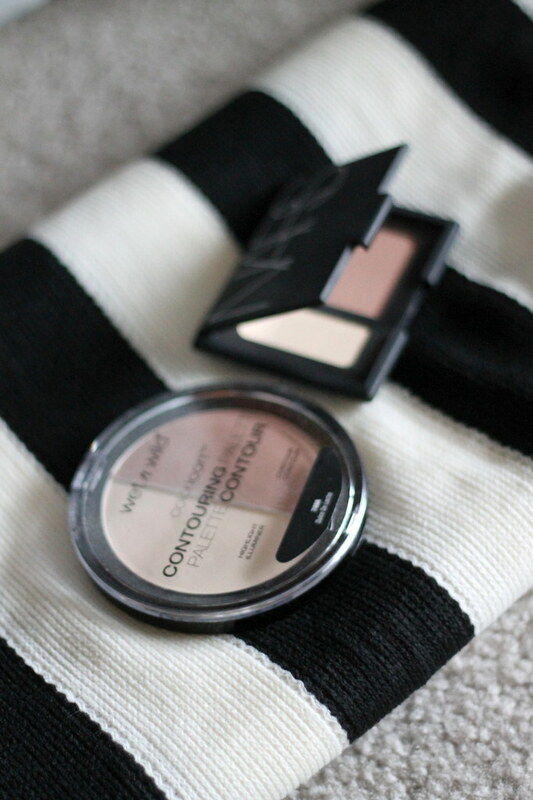 However, the end result is the same, and the Wet n Wild contour powder is like a beauty blogger’s dream. I found it blended seamlessly, looked natural, and was highly pigmented. The downside to the palette is definitely the highlight powder, which was chalky and, unlike its NARS competitor, unpigmented. However, I can easily overlook that for a $4 contour powder that works just as well as the NARS counterpart.